Bitcoin's insane price hike to more than $15,000 on Thursday has left me thinking one thing: I'll never be able to afford these things, so why should I care? But while bitcoin-money lines the pockets of early investors and digital currency speculators, the rest of the planet is suffering. As it turns out, bitcoin is sucking up a whole lot of energy. According to Alex de Vries, who tracks the industry on the site Digiconomist, each bitcoin transaction consumes 250 kilowatt hours of power—or enough to run the average American household for about a week. In all, the entire bitcoin network consumes an estimated 32 terawatt-hours a year. That's more than the electricity consumption of at least 159 other countries, including Ireland and most African nations. And the network isn't exactly running on clean, green renewables. “Bitcoin's biggest problem is not even its massive energy consumption, but that the network is mostly fueled coal-fired power plants in China," De Vries noted. So why does a bitcoin—a weightless digital currency you can't exactly hold or touch—consume so much energy? Well, first you have to understand that the world has a finite supply of 21 million bitcoins. Then, to “mine" one of these bitcoins, a computer must solve a complex cryptographic puzzle. As the number of bitcoins dwindle, the puzzles get more and more challenging to solve, and thus these computers need more and more energy to run. Companies mine bitcoins with large warehouses full of noisy, energy-sucking servers that are built just for the task. For instance, the coal-powered Ordos bitcoin mine in China consists of eight buildings filled with 25,000 mining machines. Their daily electricity bill costs a staggering $39,000. Ultimately, if bitcoin or other digital cash forms become our mainstream currency as some predict, this could come at the peril of the planet's health. What's more, bitcoin's consumption won't necessarily keep rising as it has. Data centers, for example, have gotten a lot better. Not long ago, the Department of Energy was predicting that their electricity use would double every five years, and Google was getting slammed for consuming enough to power 200,000 homes. In recent years, though, the centers' total electricity use has flattened even as their number has kept growing. As it turned out, better cooling and power management technology improved efficiency. 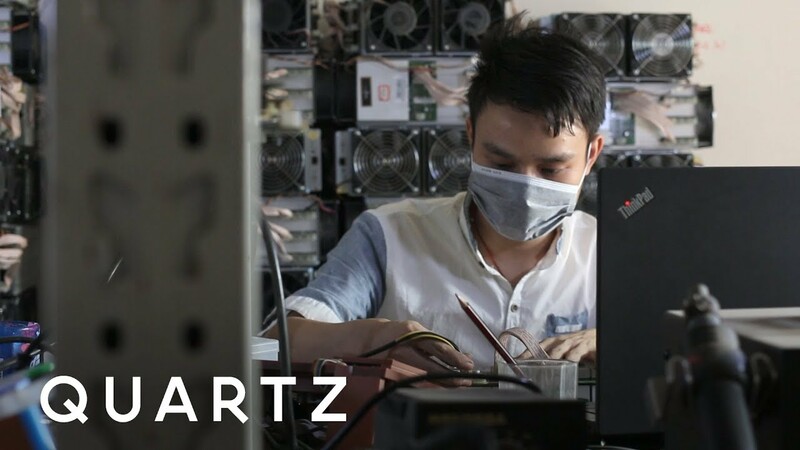 Bitcoin miners are no less motivated by profit, so it stands to reason that they will seek to become more efficient and employ the cheapest energy available, which generally means hydroelectric plants and other renewable sources. It's easy to criticize bitcoin for being wasteful. But so are many things in life, including airplanes, commuting to work and Sunday Night Football. A return to subsistence farming could drastically reduce our carbon footprint, but sometimes using energy to improve our quality of life is worthwhile. Still, if bitcoin continues its exponential rise, we'll have to make this currency much greener soon.